Here's proof you don't need a lot of parts to be freakin' awesome. 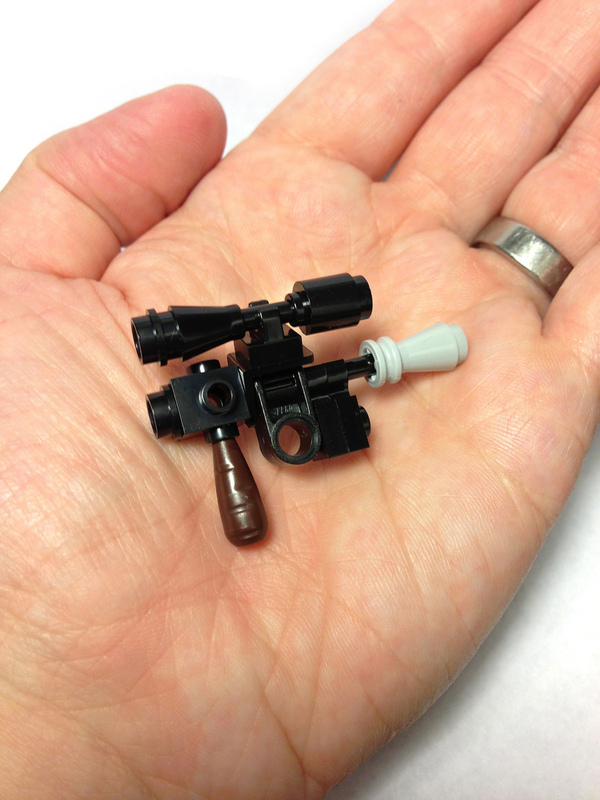 Han Solo's blaster, built with 15 pieces by ObedientMachine. I'm inspired to build a whole arsenal of mini props, who's with me?